Creativity and budget are two essential factors that are taken into consideration when organizing day trips and multi-day trips. 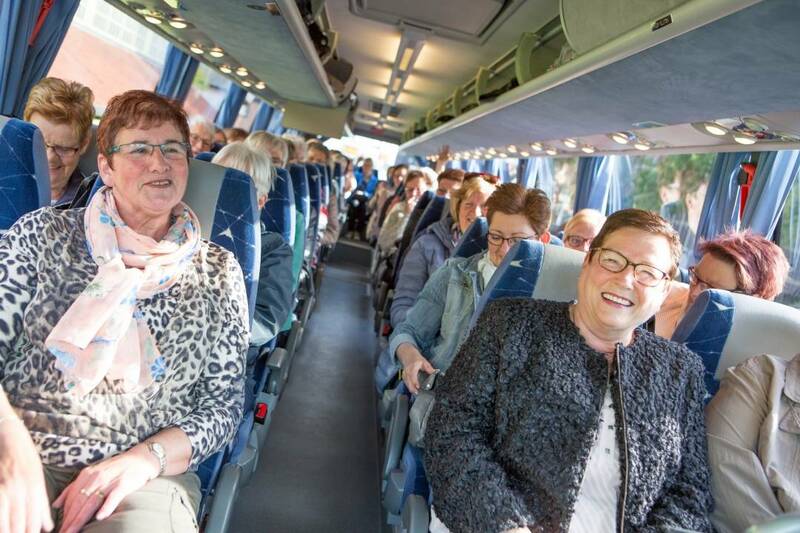 Munckhof organizes single and multi-day trips in the Netherlands and abroad for companies, associations, foundations and other organizations. Creativity and budget are two essential factors that are taken into consideration when organizing these trips. Instead of offering a fixed package of trips and destinations, we create a unique travel packaged tailored to the needs and wishes of each specific group, be it by coach, train, boat, car or plane. As your trusted transport partner, Munckhof is dedicated to serving its clients. With years of experience organizing single-day and multi-day trips, we can draw on an extensive network of group accommodations and hotels in the Netherlands and abroad. From affordable hostels for associations to luxury accommodations for business travellers, Munckhof can always find a location to suit your needs. We can also arrange for catering, local excursions and guides on request. Munckhof uses coaches from its modern fleet when organizing group trips. Our coaches are equipped with modern conveniences, meet strict safety requirements and fit seamlessly with the needs and wishes of the travel group. We only use the most experience drivers, who double as tour guides and share interesting and valuable tips and information about the destination with travellers. Plan on travelling by plane, boat or train? Munckhof would be happy to arrange tickets, a daily programme or local accommodation for you. Complete the contact form and we will call you back. Would you like us to call you back on a certain day or at a certain time (during office hours)? Complete the form and we will call you at your preferred time. What we find most reassuring is that the quality certificates are kept up to date. The big advantage of Munckhof is that they know our audience and have a great way of interacting with them. We really appreciate the contact with Munckhof before the trip and the driver's involvement during the trip.